The second line of the Warsaw metro opened after several years of construction and several months of delay. Its most noticeable feature won't be its state-of-the-art technology, but rather its vanguard artistic design, signed Wojciech Fangor. The portion of the metro's second line which opened on March 8, 2015, after over four and a half years of construction, consists of seven stations. The line will span the western and eastern sides of the city and, via a minor engineering marvel, will go under the Vistula river. However, as the Metro opens this week, much attention is also being paid to the design of the new stations. The designer behind all stations along the Metro’s 2nd line is Wojciech Fangor, one of the most acclaimed Polish painters and the only Polish artist to have had an individual exhibition at the Guggenheim museum in New York. 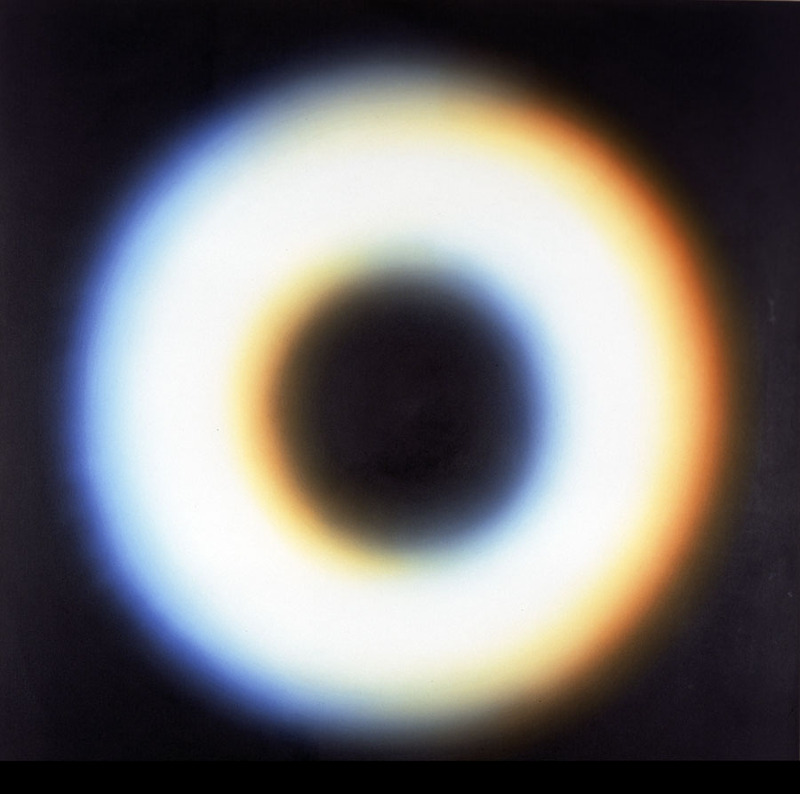 Today in his 90s, Fangor is a legend of Polish avant-garde, and one of the few acclaimed Polish artists to have engaged in the Op-art esthetics. And as it turns out, the Metro is not his first attempt at designing a train station either. 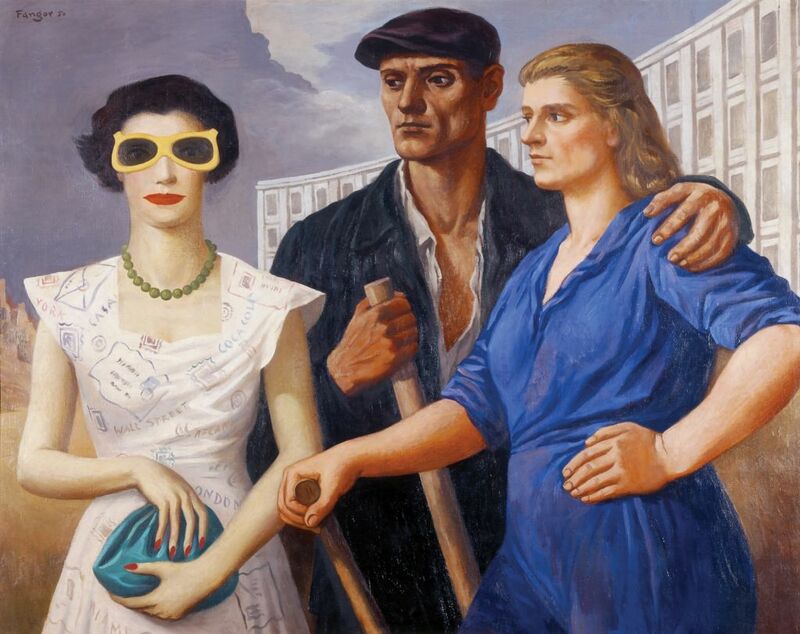 Wojciech Fangor (born in 1922) had already started painting before the war, but he made his name in Communist Poland with his version of Socialist Realism. While some of his paintings from this period, like Korean Mother (1951) became canonical Sots-realist art, others, like Figures (1950), were highly unorthodox and remain truly intriguing. During this time, Fangor was also active designing movie posters, and became a key figure in what later came to be known as the Polish School of Posters. The breakthrough in Fangor’s artistic thinking came in 1958 with the exhibition Studium przestrzeni (Study of Space), prepared together with the architect Stanisław Zamecznik. Fangor showed monochromatic paintings covered with nebulae of white and grey, sometimes with a dash of green or red. However, the novelty of the show lay in the way the paintings created the space around them. Fangor would call this the discovery of 'positive illusory space'. Study of Space is considered the first environment in Poland, anticipating similar experiments in the West. It also had an important impact on the future evolution of Fangor’s art. Fangor went on experimenting with optical art. One of the early examples employing this technique in the public space were the mosaic designs Fangor made for Śródmieście railway station in Warsaw (1963). 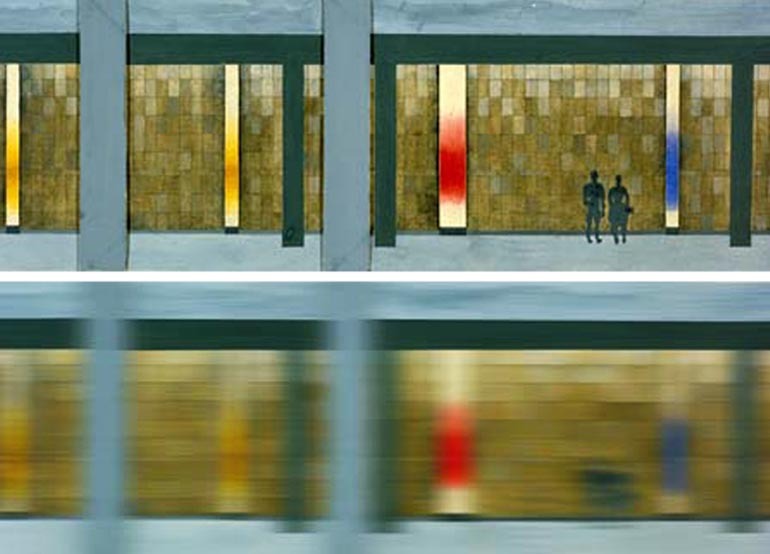 Fangor’s contribution to the highly interesting Modernist architectural project of the team led by Jerzy Sołtan, were the mosaics located on the walls of the station. Their appearance was supposed to change depending on the speed of the approaching train. Although the mosaics have not survived, they can be seen as an intriguing prelude to the Metro designs which Fangor will create half a century later. The huge, vibrant surfaces of the paintings covered by the irregular forms of multicoloured and monochromatic circles, waves and other abstract, more or less amorphous shapes produced an environment throbbing with colour and suspended in time. John Canaday, one of the leading critics of the New York Times, has called the art of Fangor 'Romantic Op'. Even today Fangor remains the only Polish artist to have had an individual show in this institution. In the following years after the exhibition at the Guggenheim, Fangor experimented further with abstract art, before eventually returning to figuration. One of the many interesting chapters in Fangor’s further artistic development came in the 80s with a series of paintings inspired by television images. In 1999 he returned to Poland, and has since been living in Błędów, near Radom. Seven stations of the long-awaited 2nd line of Warsaw's Metro were designed by Wojciech Fangor in 2007. Each 120-metre-long train station has been designed in one dominant colour with the name of the station running along the platform in big capital letters.